Promotional Materials now in French and Spanish! We are very happy to share our promotional materials in French and Spanish. This is a guest post by Xin Bi, DOAJ Ambassador, China. This is a guest post by Vrushali Dandawate, DOAJ Ambassador, India. All over the world researchers are spending their time in writing research papers, and everyone wants his or her work to be widely recognised. Most of the time researchers are in a hurry to publish their research papers, so they may not pay attention to whether they are publishing in a proper journal. Unintentionally many researchers are submitting their research papers to questionable journals (also known as predatory journals). 1. You may get spam emails or marketing materials from the editor inviting you to publish a paper in their journals. 2. These journals give you a guarantee to publish your paper within a very limited time period. 3. No proper information is given on journal peer review policy. 5. These journals may not be dedicated to one discipline, but instead publish on a wide range of subjects within one journal. As a researcher, academician or librarian you must be able to identify questionable publications. There are guidelines, tools and services available to help you to avoid publishing with questionable journals, and to choose a proper journal for your paper. This website helps researchers to identify appropriate journals in which to publish their research. DOAJ is a curated index of open access peer reviewed journals that is used by institutions all over the world as a guide to trusted journals where you can safely publish your paper. Developing country authors can also choose to publish their article in journals available in aggregation platforms such as African Journals Online (AJOL), SciELO and Redalyc. Journals are evaluated according to a number of criteria regarding their publishing practices before they can be included in AJOL. AuthorAID is working to increase the success rate of developing country researchers in achieving publication, and to increase the visibility and influence of research in the developing world. AuthorAID achieves these objectives through networking, resources, training and mentoring. Membership is free, and you can find a mentor through the AuthorAID database or by asking the AuthorAID discussion list about experiences of particular journals. India leads in Gold Open Access Publishing – fake or genuine? This is a guest post by Leena Shah, DOAJ Ambassador, India. It is interesting to note that since the introduction of new criteria for DOAJ listing in March 2014, we have received the highest number of new applications from Open Access journal publishers in India, followed by those in Indonesia, USA, Brazil and Iran. From around 1600 new applications received from India since March 2014 only 4% were accepted, with 78% of the applications rejected for various reasons and approximately 18% still in process. Looking at the high volume of new applications from OA publishers wanting to be listed in DOAJ, it would seem that the Gold OA publishing model is well accepted and understood in India. But three quarters of the DOAJ applications from India in the last three years have been rejected – often for being questionable, duplicate applications or for not being a journal at all! Two things emerge from this – firstly that there may be many genuine, small-time publishers who lack knowledge of best practices in journal publishing, and secondly the increasing number of unscrupulous publishers in this region exploiting the gold OA model, claiming to be legitimate journals in order to pocket the Article Processing Charge (APC) from the author but providing little or no editorial services in return. With the new criteria for listing in DOAJ implemented in 2014, OA journal publishers are required to furnish APC information, and out of the 74 new applications that have been accepted from India since then and are currently listed in DOAJ, 52 journals do not charge any APC. A complete list of OA journals published in India and currently in DOAJ that do not charge APC is available here. India also emerges as one of the top three countries behind USA and Indonesia for generating traffic to the DOAJ website (usage statistics based on number of user sessions). With this being the case, why are researchers still publishing in fake journals? Many articles have been published about the rise of research fraud in the last few years, with researchers and academicians from major academic institutions in India and national institutes publishing in fake/substandard journals for career advancement. Recently this led to a small but important development in scholarly communication. To nudge researchers towards publishing in peer-reviewed and credible journals, the University Grants Commission (UGC) announced in January 2017 an approved list of journals for the Career Advancement Scheme (CAS) and the direct recruitment of teachers and academic staff. This is a dynamic list of 38,653 legitimate journals across disciplines. This list is to be viewed as an evolving document which will need major revisions to make it comprehensive and available in a format that is easier to analyse and interpret. In March 2017, DOAJ submitted a request to UGC to include Open Access journals that are listed in DOAJ in the approved list. In other developments across the region, Open Access India, an online community of practice with volunteer members, launched in 2011 to advocate Open Access, Open Data and Open Education in India, submitted a proposal in February 2017 to the Ministry of Human Resource Department (HRD) and Ministry of Science & Technology, Government of India, for a National Open Access Policy to mandate Open Access for all public funded research in the country. In February 2017, an Open Access India community initiative, AgriXiv hosted by the Open Science Framework, was launched to provide free, open access archives for preprints related to agriculture and allied sciences. Other noteworthy OA resources in India include Listing of Open Access Databases (LOADB) a portal launched in October 2015, which offers a classified and categorized listing of Open Access databases. This was developed by Council of Scientific and Industrial Research (CSIR) – Unit for Research and Development of Information Products (URDIP). Shodhganga is a national digital repository maintained by INFLIBNET Centre that facilitates Open Access to Indian theses and dissertations submitted to Indian universities. At present 307 universities in India have signed a MoU with INFLIBNET Centre. Council for Scientific and Industrial Research (CSIR), Indian Council of Agricultural Research (ICAR), Department of Biotechnology (DBT) and Department of Science & technology (DST) have adopted an Open Access mandate. According to the mandate, researchers funded by these organisations are required to submit the final accepted version (without publisher formatting) of the paper to their institutional repository after verifying the archiving policy of the journal publisher. This Green OA model has its challenges in implementation and building awareness of OA, but for a large country like India where scientific output is high there is room for both Green as well as Gold OA. Arunachalam, S., & Muthu, M. (2011). Open Access to Scholarly Literature in India—A Status Report (with Emphasis on Scientific Literature). Centre for Internet and Society. Seethapathy, G. S., Kumar, J. S., & Hareesha, A. S. (2016). India’s scientific publication in predatory journals: need for regulating quality of Indian science and education. CURRENT SCIENCE, 111(11), 1759. A current search in the DOAJ database reveals that there are 916 journals from Latin America and the Caribbean that have been accepted after the implementation of stricter DOAJ criteria in March 2014. This represents approximately 16% of the journals that have gone through an evaluation process led by the DOAJ team. As it is stated in DOAJ policy, the criteria implemented emphasize the transparency of information presented by the journals to their users, which aims to improve quality and visibility of the scientific output published in peer reviewed journals. Latin America has an extensive background in open access journals publishing and, consequently, journals assessment policies are well developed. Different criteria for reviewing the quality of journals have been developed in the region by mainly two types of agencies: 1) national systems of evaluation (in Argentina, Colombia, Mexico, etc. ), with different levels of complexity and implementation according to the purposes of assessment, for instance, to allocate funds to the journals; and 2) regional systems of scientific information, i.e. Latindex, SciELO and Redalyc, which have similar indexing criteria (de Oliveira Amorim et al., 2015). Because of these evaluation systems there has been a significant growth of quality in Latin American journals according to international publishing standards in the last few years. However, there are still some challenges to push forward the Latin American OA model, specially in two key aspects that are related to the level of openness: transparency on charges for authors and copyright & permission policies. One of the main characteristics of the predominant journals publishing model in Latin America is that articles are published without costs to authors. This non APC model is possible because of the public funds that journals receive from national or institutional budgets, resources to be managed by, mostly, scholarly publishers such as university presses. Different stakeholders in the region support the idea of staying as a non-commercial OA model despite some trends of charging different fees to authors and their institutions. Vessuri, Guédon & Cetto (2014) have raised awareness that in a context of competition, commercial publishers are seeing the potential of Latin American journals as an opportunity to make a profit from offering publishing services, which eventually could shift the non-commercial model. According to DOAJ data, only 8% of journals included from Latin America have APCs, which range from $4 up to $1400 US. These journals are edited in Argentina, Brazil, Chile, Colombia, Costa Rica, Mexico and Peru, and 62.6% of them are managed by associations and societies. Most journals edited by universities and research centres have no charges; however, there are some journals funded by public federal and state-level universities that charge minimal amounts to authors in order to cover some services, for instance, the cost of the DOI assigned for the article published. In any case, DOAJ strongly encourages editors to give transparent information on this topic because is still common to see journals with a lack of details on the charges levied. Despite the success of the open access publishing model in Latin America, there are still some important challenges in this region in terms of permissions to use, reuse, adapt and remix the contents. Based on DOAJ data, 89% of indexed Latin American journals have adopted Creative Commons licenses to distribute their articles. Nevertheless, only half of these journals (49.1%) use the CC-BY license, which allows others to use the materials for any lawful purpose with the only requirement being the correct attribution of authorship and source of publication. One third of the Brazilian journals indexed in DOAJ use this license; only 14% of Colombian journals have the same policy. One of the major concerns among editors in Latin America is still commercial use: 45.8% of journals allow readers to use the articles only for non-commercial purposes. The use of the CC-BY-NC license represents 23.9% of Latin American journals listed in DOAJ, followed by 14.9% of journals using the CC-BY-NC-ND license and 6.9% that have adopted the CC-BY-NC-SA license. The use of the most open license (CC-BY) is still controversial in Latin America because publishers mistrust the terms of this license, which represents a big challenge for open access advocacy. The Open Access Scholarly Publishers Association (OASPA) recommends this license as it assures a wider reuse and distribution of content, e.g. the use in education practices. DOAJ accepts journals that use any CC license, but also encourages the adoption of the more unrestricted licenses. In order to achieve the DOAJ Seal for best practice in open access publishing, a journal cannot apply the most restrictive CC licenses for sharing scientific articles, i.e. CC BY-ND or CC BY-NC-ND. The Latin American open access publishing model is going through a period full challenges, especially when some governments have serious budgetary difficulties in Science & Technology and Higher Education systems. In spite of that, there are many advantages of this model. One of them is the level of cohesion of editors that have worked in collaboration for the improvement of quality. Author charges and copyright policies are still important concerns in Latin America, and DOAJ is committed to collaborate with publishers of this region in order to improve best practice, as well as openness for readers and for authors. De Oliveira Amorim et al. (2015) Evaluation Systems of Scientific Journals in Latin America, in: Alperin, J. and Fischman, G. (eds.) Made in Latin America : open access, scholarly journals, and regional innovations Ciudad Autónoma de Buenos Aires: CLACSO. 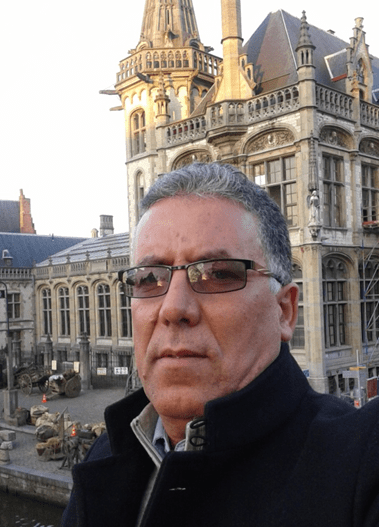 We are very happy to announce that our DOAJ Ambassador Kamel Belhamel was interviewed this month by ScienceOpen as part of the very successful Open Science series of interviews. Jon Tennant, from ScienceOpen, chats with Prof Belhamel about his thoughts regarding open access, his role at DOAJ, and the state of scholarly communication in North Africa.